Bullying is an issue many children face, both in person and online. 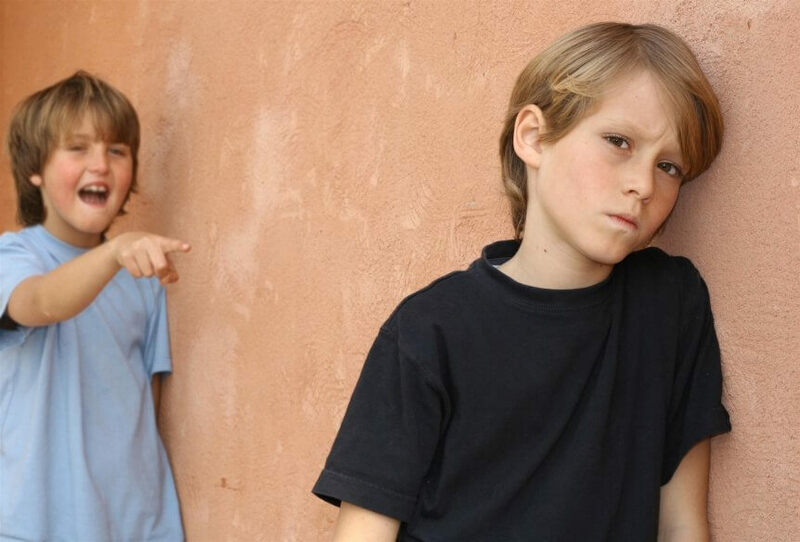 If not identified and dealt with, bullying can have long-lasting impacts on children. Bullying, according to the National Centre Against Bullying, can be defined in the following way: “when an individual or a group of people with more power, repeatedly and intentionally cause hurt or harm to another person or group of people who feel helpless to respond.” It is not a single act, but a repeated one that can be physical, emotional or verbal in nature. It can occur in the school playground, at before and after school care, during holiday programs or even online. • Changes in school grades. In older children with access to devices, cyberbullying is also common. This is a particularly dangerous form of bullying as kids aren’t able to escape it. Monitor your child’s use of games and social media and take action if they begin to become withdrawn or secretive about their online behaviour. Talking to your child about how they can stop bullying can help other children. It can also ensure your child knows they can come to you if bullying occurs to them. It’s common for kids to also turn to teachers, before and after school care workers, counsellors and sports coaches so make sure they know what to do too. When it comes to cyberbullying, it can help to set boundaries around the use of technology and talk to your child about their online behaviour. There’s a range of organisations that can help with incidents of bullying. Even if the bullying is occurring outside of school time, reports should first be directed to your school as they will have policies in place to deal with it, and resources to support you. Be vigilant when it comes to incidents of bullying and talk to your child about what to do if it happens to them or one of their friends. Being proactive about bullying can help in so many ways including making sure your child knows how to deal with it if it happens to them.